Pinterest is an image social media site that has a strong connection with visuals. In the words of the site itself “Pinterest is an online pin board. Organize and share Things you love.” In this post we will discuss the ultimate list of Pinterest tools for marketing, analyzing, and increasing engagement on Pinterest. But, before that lets have a brief round off of the social media platform that drives an estimated 47% of the US online shoppers (source). From the above statement it is clear that Pinterest has an open angle for business prospects too. About one-fifth of US women actively use Pinterest not only to show their artistic side but also to evaluate and review products before buying. Pinterest grew 58% in the year 2013 which is far better than the existing social media giants, Facebook (57%) and Twitter (15%). Pinterest has now rich integration in the aspect of business too. Companies and brand owners can create business pages for themselves where they can display stuff to be sold with a link back to the original e-commerce store. This is similar to Facebook pages but the fact worth noting here is that buyers from the Pinterest spend $180 as compared to those from Facebook, who spent only $85 (source). Having these statistics known, there is no reason why you should not tap into huge business opportunity that Pinterest puts forward. Read this post on how to double your Pinterest followers investing less than five minutes daily. I have made this ultimate list of 40+ Pinterest tools that will help you to leverage this visual social media. These tools and third party apps (some free and some on the freemium model) will help you create awesome pinnable images, add quotes, track your pins on twitter and even set an online store on Pinterest. 1. Canva: Canva is a great tool when it comes to creating amazing images without even learning Photoshop. Most bloggers create awesome images with canva. You can create photos for social media sites with predefined dimensions or can create your own custom images for sharing. It has a load of options. 2. Pixlr: Pixlr is a hell of a fantastic photo editor. This one has loads of filters and many more editing options. If this was not enough it has the app version for android and IOS in addition to its super loaded web version. 3. Picmonkey: Picmonkey understand the demand for Pinterest – Rich and attractive images. Though Picmonkey is not exclusively for Pinterest, but it is a great tool to add text to images, resize them and also offers great touch up features too. The basic free version is pretty enough but for power users there is a premium version with extra features. Quotes and images with text are amongst the most repined pins. If you want your Pinterest followers to keep talking about your brands you can also add some call to action text at your images. It is seen that pictures with quotes and other call to action texts are shared heavily. Here are some great tools to add quotes and other text layers to your Pinterest images in order to make them talking and vibrant. 4. Pinstamatic: Pinstamatic is a great tool that drives the boredom of your images out. 5. ShareAsImage: This is a useful tool to dress up your quotes and text messages with great backgrounds. If you are not satisfied with free version there is a pro version too. 6. Giphy: GIF images are the best ones when it comes to grab someone’s attention. You could easily create CTA through GIFs on Pinterest. There is a search engine for GIFs and you can get awesome GIFs from them. It is Giphy. 7. Pin A quote: Although this tool costs around a very little $1.99 for the pro account. It is very useful to post a text quote (or an image) found across the web, use their bookmarklet on your browser and then fill a form to post it on Pinterest. If you are a vivid Pinterest user you must be aware of the fact that infographics are in abundance on the platform. The advantages of Infographics are that they can contain surplus data, in an attractive design or template. Here are some of the tools to create awesome infographics for Pinterest. 8. MS PowerPoint: This is a free tool that can help you create beautiful infographics in minutes without much hassle. This tutorial will help you in creating beautiful infographics from PowerPoint and has five free templates for you too. 9. Easel.ly: Pretty of a web 2.0 domain! And the templates this site offers are also great and easily customizable. You have the access to its library of arrows, shapes, connector lines and fonts too. This will force your Pinterest followers to share your pins that contain boring data presented on amazing infographics. 10. Visual.ly: Visual.ly is a great tool and a community for infographics creators. With around 35000 members this tool has the capability to make your pinned infographics go viral (if you have the right connections). 11. Google developer tool: Have a statistic to share on Pinterest? 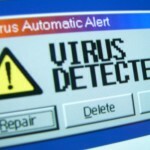 Are you afraid that this will turn off your followers? Not now on. This free tool from Google will create a beautiful infographic that matches the look and vibes of your website. 12. 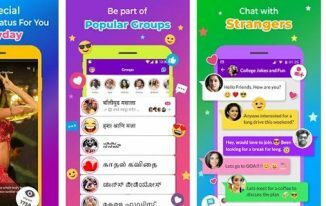 Piqora: It is an ultimate business tool that helps in a plethora of social networks like Pinterest, tumblr, and instagram. For now, we will consider its functionalities for Pinterest only. For scheduling, you can directly log in to piqora and add content for scheduling or you can make use of the bookmarklet. For pinning any image on the web just click the bookmarklet, specify the image, the board you want it to be pinned to, and the time you want it to be pinned. Done! 13. Viraltag: Viraltag helps you in saving time by scheduling pins at your desired time. This will reduce the workload on you and you don’t have to be online to cater your global audience. It’s a great handy tool for companies and enterprises. 14. Pingraphy: Pingraphy is a great tool that works on the principles of bookmarklet and then you can schedule every image you wish to while surfing the web. Remember, you are not restricted to share boring 2D images only; you can share videos from YouTube and Vimeo too. 15. Gopixel: Gopixel is a freemium Pinterest tool that lets you pin up to 3 pins per day for free. I think this is pretty enough for small players. However if you are a bigger business you might want to visit their pricing page for more details. 16. Viralwoot (formerly Pinwoot): They are a great platform for scheduling pins. The free plan helps you schedule 100 pins per month while they have great paid packages too. Now that you have pinned your best visuals it’s time for you to track results and analyze the follower graph of your images. Here are some of the best tools to analyze your Pinterest performance and also to monitor competitor analysis. 17. Pinterest Analytics: Pinterest analytics is much like the Google analytics that we use to monitor our website traffic and audience. Pinterest analytics is a tool by the social media platform itself and helps you get an insight on pins, repins, audience, clicks on pins, reach, visitors etc. It might not be up to date to the last minute but still has great usage to track your performance on Pinterest. 18. Pinalerts: Have you used Google alerts? Then this is like its twin for Pinterest that alerts you when anything is pinned from your website or blog by Pinterest users. It goes a step further telling you who has pinned your content. This will help you identify the pinner, thank him and also engage with him over the platform. 19. Tailwind: Tailwind is like your personal coach on this visual social media which sees 94% more repins for pins with trending topics. It tells you how your business is perceived on Pinterest and shares tips on how to get the desired results. It is used by over 2,500 brands which include the likes of Nike, AOL, Walmart etc. 20. Piqora: As mentioned previously Piqora is a great tool for analysis of pins and repins, ROI and competitor tracking. To track Return of Investment, you have to integrate Piqora with the Google Analytics, or Omniture etc. You can track who pins your pins from your website, what are the resulting conversions etc. Then you can calculate the revenue per pin, visits recorded, follower growth, reblogs, etc. 21. PinPuff: It is the tool that helps you calculate your pinfluence, a measure of your popularity on Pinterest, and it also provides the value of your every pin. Pinterest is essentially a social media platform. And so forming communities on Pinterest makes sense. You could use the potential of Pinterest communities to get new followers, share your content across a variety of platforms or simply promote each other. Here are a few tools that promote the community feature of Pinterest. 22. Viralwoot: It is a community of Pinterest users who help each other in sharing stuff. Though I would not suggest buying followers, Viralwoot gives a reward system (seeds) for increasing followers and sharing pins that’s why is worth a try. 23. WooBox Pinterest tab : Suppose you are very active on Facebook and new to Pinterest. You should use your resource of loyal followers on Facebook to get established on Pinterest too. But, remember Facebook allows you to integrate Pinterest only to your personal profile and if you are a business or brand your followers are likely to be knit across your Facebook business page. Here comes the scene for WooBox, which allows you to add a Pinterest tab to your Facebook Business Page and thus market your Facebook fans to follow you on Pinterest too. The icing on the cake is there are no technical hassles for this. 24. Postris: Postris is the former Repinly (old name). It allows you to search and access the top Pins, Pinners and trend on the social network and thus help you to use these data to make great strategies to grow big in the Pinterest community. 25. WiseStamp: although WiseStamp is not a Pinterest tool at all you can still use it to grow your Pinterest community and ask your known people to follow you on Pinterest. The formula is, WiseStamp allows you to add a personalized signature to your emails and thus helps you to attract your contacts to follow you on Pinterest by adding a simple CTA button on your email. 26. Pinvolve: It is similar to WooBox discussed above The key difference is that it makes the arrangement of the images on Facebook to a similar fashion as Pinterest and when users hover across the image they get an option to pin the image directly on their Pinterest account. There is a free version that does the basic job of synchronization while paid packages exist for the additional features like multi-pages manager. 27. WishPond: It is a tool that works on the same ethic as Pinvolve or WooBox. Apart from that one biggest advantage is that it is so easy to integrate that you literally have nothing to do accept for providing your login credentials. This works well on mobile sites too. It’s a great tool that will allow you to cash your Facebook followers to build engagement on Pinterest. We have a plethora of WordPress plugins to make your site optimized for Pinterest. These plugins make it easy to Pin your content and also help you to attract more eyes from Pinterest. Here some of the best WordPress plugins for Pinterest. 28. Pinterest follow me widget: This plugin adds a simple and elegant follow me on Pinterest button to your WordPress blog and thus motivate your readers to follow you on Pinterest. 29. Pin button attraction: This is a paid or premium WordPress plugin that lets you decide which images should be allowed to Pin. This way you can prevent certain images like personal ones from being pinned from your WordPress site. 30. Pinterest RSS widget allows you to add your Pinterest photos to your blog sidebar, pages or any estate you want on your blog by the use of a simple shortcode. 31. Pinterest Pinboard widget: This simple plugin allows you to display your Pinterest images as a board of thumbnails across your sidebar or your footer columns. Either way the main aim of attracting your Pinterest followers in achieved. 32. Pinterest block plugin: Suppose you don’t want users to pin images from a specific page of WordPress blog you can use this plugin to specify commands for the same. Furthermore, this plugin helps you to specify which images are to be prevented from pinning directly from the post editor. Pretty huh? 33. Pinterest LightBox: If you use a third party gallery plugin like NextGen this is the Pinterest plugin of choice for you. This Pinterest plugin allows you to add a pin it button to your images in the NextGen gallery (over 5.5 million users).This is extremely useful WordPress plugin for Pinterest for the professional photographers and designers. For more plugins you can get a detailed list here. Pinterest has a plethora of browser extensions too that will help you achieve your Pinterest goals. 35. ShotPin: This chrome extension help you take the screenshot of your website and share it across your Pinterest account. 36. Pin search: This is basically a content discovery tool for chrome users. It enables them to do an image search through Google that will display images found on Pinterest as per your query. 37. Pinterest right click: This Firefox add-on allows you to add a Pinterest pin it option to your right click menu whenever you right click an image. 38. Pinterest image expander for chrome: The name justifies the work it does. It makes repining easy by enlarging the images on hovering. Pinterest has beautifully designed official apps for smartphones and tablets that help you explore the platform on the go. Here are some of the awesome Pinterest apps for your mobile devices. 42. Followers on Pinterest: It is app for IOS devices that allows you to track your followers and check who is following you back on Pinterest and who is not. Thus you can manage followers on the go. 44. PinBooster: If you have large number of followers on Pinterest you can monetize them by getting paid to display pins and boards from other users. PinBooster helps you in the process. So, this was the ultimate list of Pinterest tools to help you Pinterest like a pro. Use any or all of these tools, to make your Pinterest marketing effective. Have I missed something? Did you not find your favorite tool? Please comment below and I will love to update your tool to this list of Pinterest tools. Thank you so much for giving me the opportunity to guest post on TeckTricksWorld. Its been a pleasure writing for the blog. Many congratulations on your first guest post, and what a wonderful post indeed! I think it’s one of the best resources for all those who love Pinterest! I surely need to bookmark this one! Honestly speaking, I hardly know a handful of these 44 tools you have mentioned, and haven’t gone ahead and explored all of these, so good to learn more about them. Thanks for the comment Harleena! I too have a post which was pinned more than 1000+ times and at some days it attracts more than 70-80 hits! Getting this bookmarked has been the perfect reward for my efforts. Its nice to work on Photoshop, Photoshop is the perfect alternative for all those image tools for Pinterest. It hasn’t been long back when it was you who motivated me to try Pinterest for better conversions. I am now loving the platform and finding every possible tricks to use Pinterest like a PRO. Swadhin Agrawal recently posted…Nine reasons why Aha now blogging community is better than Facebook. I though Pinterest is just for the sake of pinning of images from my blog that requires visiting website itself. I didn’t know about those plugins, tools, etc. Now I can maximize my usage of my Pinterest account for blog optimization. Thanks a lot. Swadhin Agrawal recently posted…How to double your Pinterest followers and gain engagement. thank you so much for your compliments. I can understand what problems you face with uploading an image for Pinterest. For safari I found out this method for introducing a pin button on the browser. For selecting boards? I really have no idea as of now but whenever I get an option (I am constantly searching for a hack) I will let you know by messaging you. For monetizing your followers there is a platform called PinBooster. Please try it. Thanks for visiting and living your valuable comment. I use Pinterest for one of my Amazon Affiliate Marketing Blog and got some referral traffic from Pinterest. I never use any third party tools/website for Pinterest. You mention here some great tools for Pinterest and hope those will help to drive more referral traffic to my blog. I am pleased to hear you already are making great conversions from Pinterest. Pinterest is a great source as far as convertible leads are concerned. I would love to know what results you get by applying these tools (most are free or have a free version 🙂 ). Coming to your awesome post, I can understand that you’ve spend quality time to gather these tools. Many thanks for your ultimate Pinterest list and hope this would assist me to grab some exposure over there. You know, Pinterest is my third highest traffic generating source next to organic & direct traffic. Yes, I’m getting more visitors from there than Facebook and Google Plus. I believe consistent pinning helps us to get readers from Pinterest. It is an awesome network our shared blog posts may live long for more months. Still, I’m receiving consistent traffic for two of my old posts over there. I use some tools which you’ve listed here but unaware of many helpful tools. I’ll try to utilize these resources to create brand awareness for my blog. Keep your good work. Thank you so much for your kind words. Yes guest posting is dead..but that’s only for SEO. Quality in depth articles that are meant to serve the readers are evergreen. This is an awesome new way to connect with fabulous readers of other blogs. I am ever thankful to Atish bro for giving me this opportunity and trusting me. Whoa, third largest referral traffic source. That is something great. I am going to go to your Pinterest account and do some case studies . That would be amazing. I love to check out the blog posts which are descriptive in nature and at the same time they are informational too. Your post has both flavors. Keep it up. I haven’t used pinterest so much so I was unaware of these tools. I am glad that I have learnt something today. Thanks again for this wonderful write up. If you hadn’t tried Pinterest I would suggest you to tap this resource as it is awesome. Swadhin Agrawal recently posted…Commentluv Review: What should you do, Romance or Shy it away? Indeed the best list of pinterest tools I ever found over internet. Great work guys. Hope to see you more posts of this kind. I am using pinterest since long but haven’t tried these tools. I will check few out of them. Keep writing. Thanks for those encouraging words. Glad you liked the list. I see your site is about awesome photos and what could be a better platform than Pinterest. If you want You can leave your Pinterest username here so that we can connect. Hey Guys, Awesome work for making this kind of write up live. I took 30 minutes to read this post. It is in so detail. Lilked it. I am gonna use few tools right away. Hi Sarah, thank you so much for those radiant words. what a great list of tools. but after the first month, I kinda stopped using it. You know, when you have many accounts at different social media networks, you have to make a choice. But I see many fellow bloggers are using Pinterest, with great results. I guess I need to invest some of my time there. Thank you for your kind words. I too think so many social media platforms can sometimes be overwhelming. 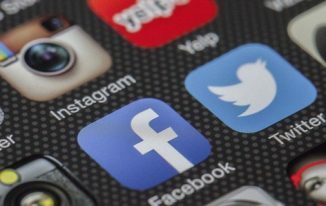 Three social media platforms are the most optimum. For me Facebook, twitter and Pinterest are more converting. Yes the fourth place switches between google plus and linkedIn. If Pinterest is not working for you better not to waste time in it. But I would personally suggest you to try out these Pinterest tools atleast the once that allow scheduling. Hope these will bring a positive result. You did a really thorough job of covering some fantastic Pinterest tools! My favorite is Tailwindapp. I also use a few that you didn’t mention here so let me and to your list. Starting with Ahalogy. It’s great for scheduling and connecting with users. You can also monetize your pins through Ahalogy (mostly for Mom bloggers and foodies though). Viral Content Buzz is a fantastic community that will help you gain traction on Pinterest. Members of the site will pin your content and you can find fantastic content to repin. Triberr also has a Pinterest component and I often share pins directly from the Triberr dashboard. Curalate and Cyfe are two analytics tools you can include here as well. Thanks for all the apps you mentioned. I see a few here that I need to check. Thank you for accepting my request to read this post and I am glad I did so because you have added much value to the list. I am pleased I have included your favorite app here. But yes thank you for mentioning the other Pinterest tools like Ahalogy, Viral content buzz and Triberr. I did not know that triberr has a similar pinterest functionality too. Ahalogy can be a perfect pinterest tool for business I guess (atleast for small enterprises with larger following.). I would also love to add curalate and Cyfe too. Wow, what a electrifying post there’s so many waves to promote Pinterest account. So many things are there in this which i heard first time like analytics, track pins or schedule Pins for Pinterest. Thanks for sharing your list with us. Awesome just damn too much awesome. Thanks for providing this useful list of Pinterest tools and I am going to use this for the benefit of my bog straight ahead. those words are too kind. Thank you for those. I am glad you liked. It’s great to see you in Atish’s Blog 🙂 by the way I didn’t realize there were so many tools to use that complement Pinterest. I love Pinterest too and appreciate all these great tools you recommend but Just heard about a few of these in a Pinterest marketing :). Great to add some more tools to the list!Thank you for sharing this awesome article about Pinterest Tools! Thank you for your compliments. Even I did not know there were so many tools. I wonder if facebook has even half of them. LOL. Ileane madam, has added a few more that I need to include at the next free minute I get. Thats a big list of tools you have mentioned. Great post!! 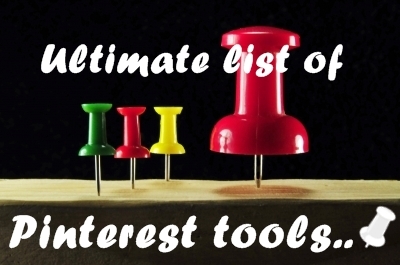 Glad you liked the list Yeah you should atleast try once and I assure you these .ultimatePinterest tools will make you use Pinterest like a PRO. Glad this could be of any help. I am there to make your pinterest journey as easy as I can. Swadhin Agrawal recently posted…Top seven must know tips to save android battery life. How wonderfully you started your guest posting journey by debuting on one of the superb techie blogs. It is sufficient to tell what would be your limit since you have now made your start such awesomely. Presentation of this post, its resources, sequencing and formatting themselves speak of very loudly the amount of hard work and extensive research you made to make it one of your epic posts. This is a equally a great message for guest post communities that a new competitor has just arrived and all should gird up their loins to face now tougher competition. Pinterest is talk of the town in social media sector all around the world. It has already been established that visual contents have more power for getting resharing so which social media can be better than it to exploit the visual features of a blog post. 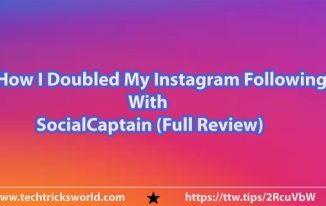 Thanks a lot Atish Ranjan for introducing him at your blog with a topic which he is really crazy about as I observe his active participation at most of the social media. I am honored by those words thank you form the very bottom of my heart. Yes Atish bro gave me a wonderful debut and I couldn’t have asked better. I am glad you liked my work. Appreciated by personalities like you who have tremendous knowledge in the field is something I had been longing for. Yes Pinterest is a topic that fascinates me because it really “converts” one’s effort put in the platform. I would also like to talk about other social media but Pinterest has very less speakers for itself in the world arena so I kind of love to vouch for it. Swadhin, thank you for a great post. It provided great information in a way that doesn’t intimidate old folks like myself. For those of us who didn’t grow up with the internet and don’t adopt many of it’s facets easily, your article opened a door for me. I’d been looking at that door for awhile with interest and you’ve explained it well enough for me to go ahead and put it to use. Tooting our own horn here, but our website offers some excellent tools to create info-graphics which you can share on Pinterest. We have separate libraries for World maps, US maps and also for different chart types making it easy to create interesting info-graphics. I have been using Canva for creating my graphical posts for every social media post till now. Its a great site and I have seen many bloggers same tool to create post images. And its easy to use as well. And a lot of thanks for sharing other tools that i hardly know exists. Searching and using new tools is what I love to do and you have given me a plenty of choice for that. Its a great write-up by you and it clearly reflects how much you researched for this post. Aditya Antil recently posted…Why Assigning the SEO work to Internet Marketing Companies Always Works? Glad you liked the post. Yes canva is an awesome tool. Canva can be used to create great Pinnable content. I am pleased to know you like trying new tools. I am sure these Pinterest tools will keep you busy for prety some time. But I assure the ROI would be much better. First of all, Congratulations to your first guest post. 🙂 You have done a thorough job on this one regarding Pinterest, a must read post. Second of all, I’m not sure if the blog owner knows this, but I am reading your post on my tablet. And reading your post is a struggle for me for some reason. I dunno if this is just me or what. While reading your post, that side menu keeps pushing your article to the right making it hard for me to read. Then that social share button that suppose to be on the side keeps popping in the middle blocking the text I’m reading. Ugh. If it wasn’t because of you, I would’ve have left this site. Anyway, I heard Canva and Pickmonkey are great for those who doesn’t know Photoshop. But I’m a Photoshop gal, I’ve used this since the first time it came out and still using now for all of my photos, the only one I use. Pinterest is sure the the one I’m working more this year. And so thank you so much for posting this, you have done an excellent job! I am the owner. I will fix that menu soon! Thank you for your feedback! I have fixed the issue Angela! Hope its fine now! Thank you for your sweet compliments. I am glad you liked the post. Yeah I know you are a Photoshop girl. Trust me Photoshop is the “DAD” of all those photo editing softwares out there. I am surprised I missed it..might be because I don’t use this (I have limited knowledge on Photoshop usage :/ ) . However Photoshop deserves to be there. I would also be learning Photoshop very soon *Yipee*. I am so sorry for the inconvenience you faced due to those sharing buttons and menu. Hopefully Atish bro has fixed it. I would love to know if it still persists or is fine. Your feedback will help this site be better for readers. Thank you for your compliments. Hope you get the desired results with these Pinterest tools for business. pinterest tools I ever found over internet. I am glad it helped you. Its okay if you did not know about most of these tools. You can always learn new things. Learning is an ongoing process. Great list! Pinterest is becoming a really formidable tool these days, so this is very helpful to a lot of people who want to get more mileage out of it. Thank You for sharing! Thank you for your kind words. I am glad you liked them. You can always use these tools to generate more leads to your site. I am very late here as I was very busy with my blog’s updating. I am seeing your hard work at this post. You are really done great here with sharing big list of useful tools. I have used only 1 or 2 tool from this list. I will look forward to use some others too and hope, it will be good impact on my business. I can track and analysis my blog more better. Thanks for sharing this ultimate list of pinterest tools which is helpful for every blogger/internet marketer. No worries and as they say better late than never. Your appreciation is highly respected and I am glad you found the post useful. Do tell me of the results you get after using these tools. DigiBank Beats Kotak 811 Hands Down!